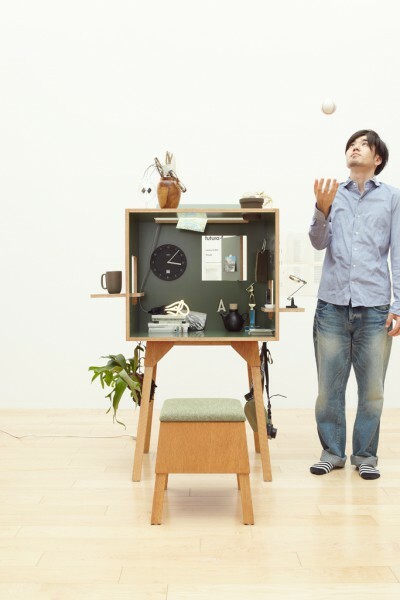 Ichiro-ilo is a series of furniture designed for the decorative plywood maker Ichiro. 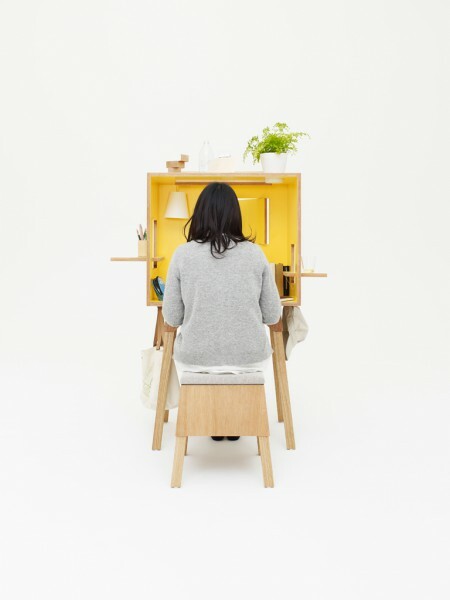 Ichiro creates in-house blends for the paints used in its polyester plywood, demonstrating a consistent dedication to supplying the right color that involves a willingness to custom-tint even single sheets. 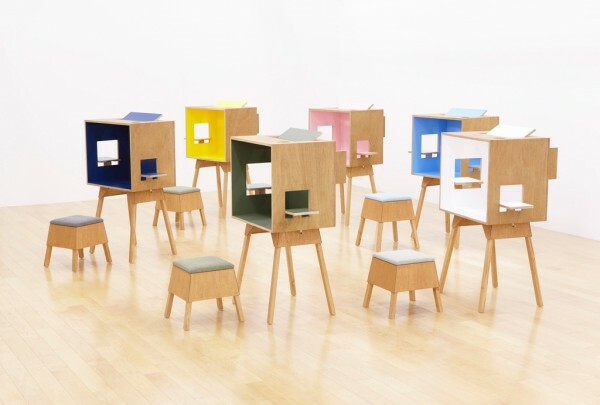 The concept for the ichiro-ilo series is that of 'tools for the real you' – 'ilo' being the Esperanto* word for 'tool'. 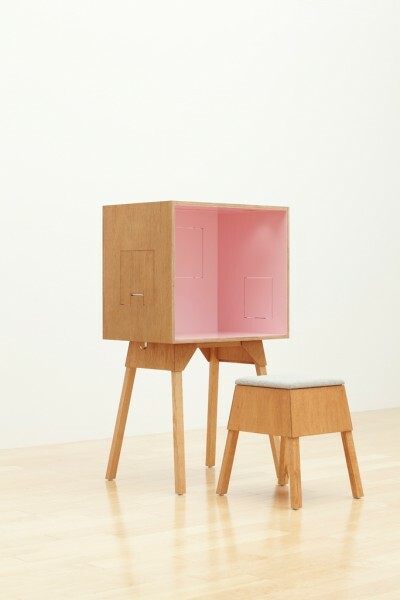 The first items in the series are the koloro-desk and koloro-stool. 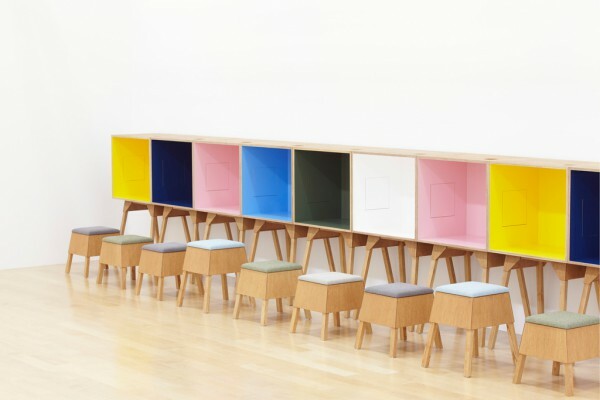 'Koloro' is also an Esperanto word, meaning color, and the koloro pieces have been designed to make optimum use of the vibrant polyester decorative plywood at which Ichiro excels. 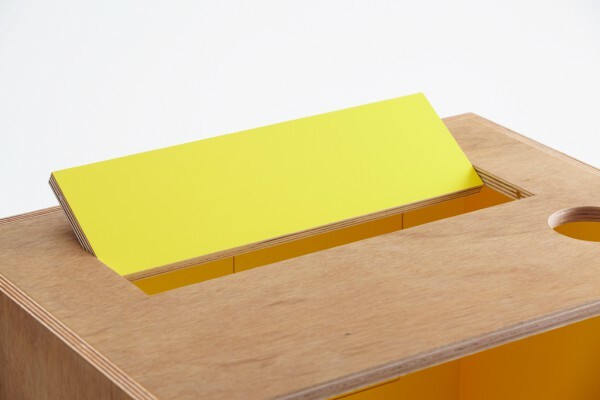 First launched as prototypes in yellow and sky blue, new colours including white, pink, khaki, and navy have been added to make a total of six colours available. 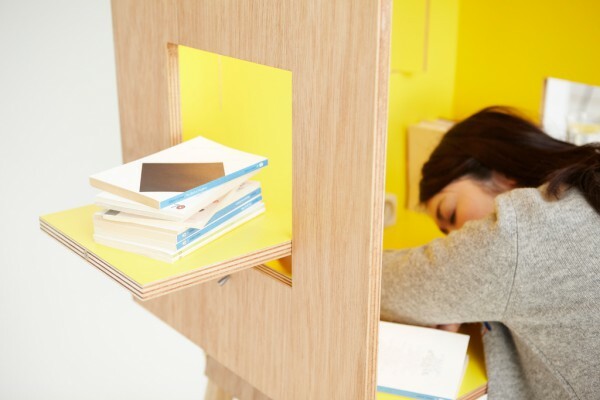 For the stool, it will now come in 4 colors including grey, dark grey, light-blue and green. 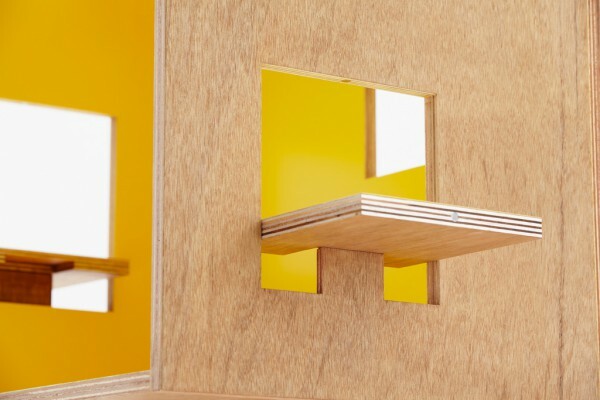 The magnets allow smooth opening and closing for the windows, and the small doors on both the left and right have been adjusted to be used as shelves. 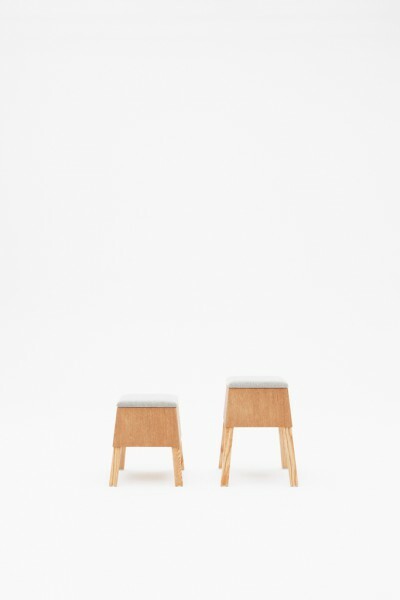 Also the stool comes in two heights, 430mm and 530mm. 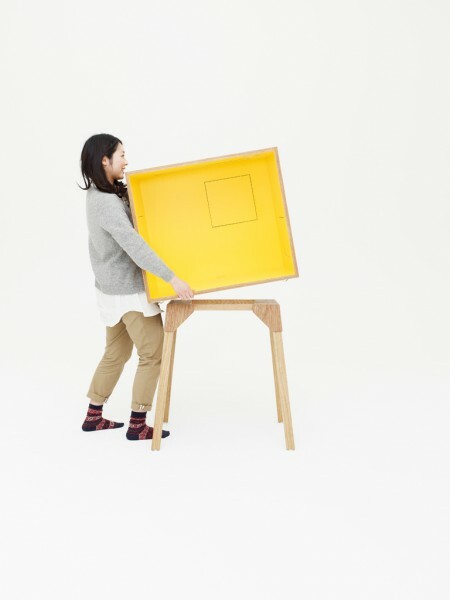 The higher stool was made to fit the size of a child. 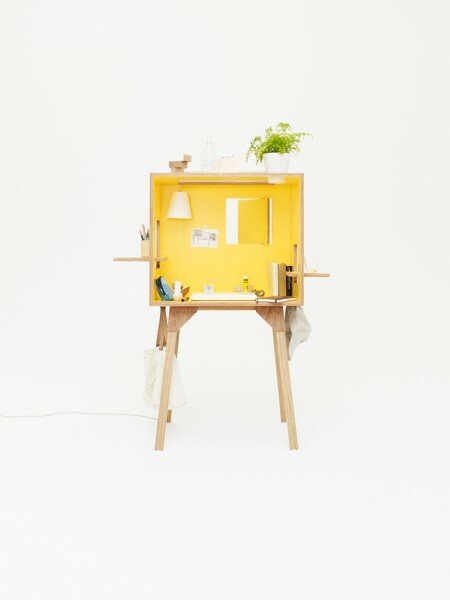 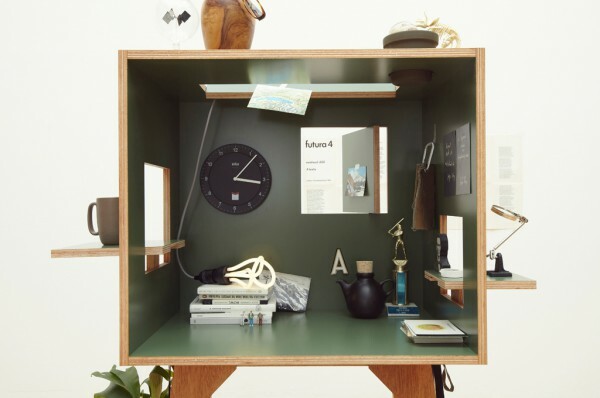 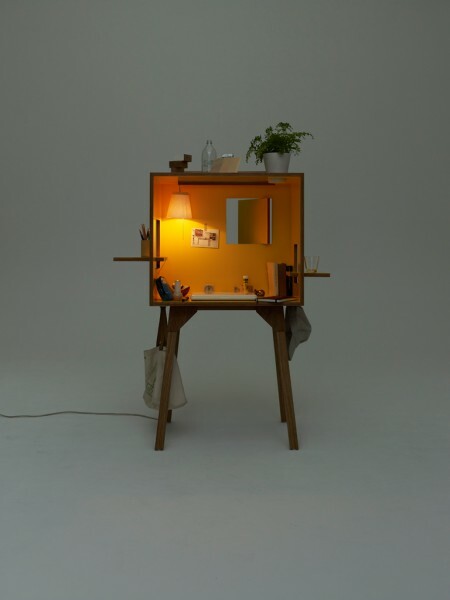 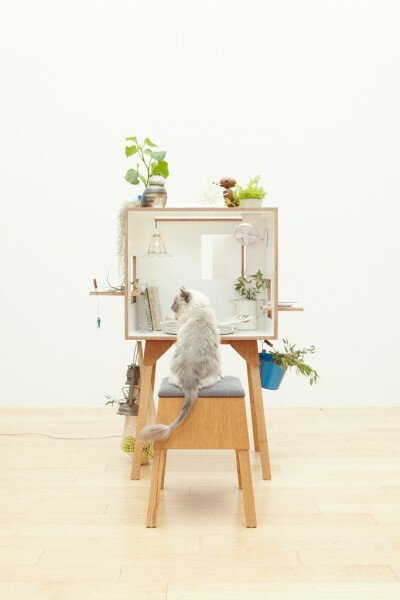 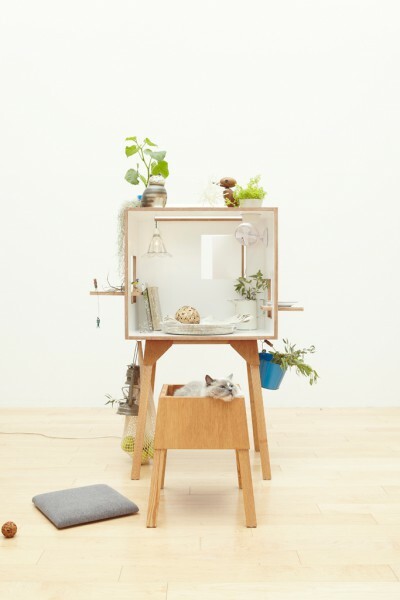 "koloro-desk – a place to 'nest' at ease"
The koloro-desk has windows at various locations, opening to give a more open, accessible feel and when closed creating a small private room where no one can disturb you. 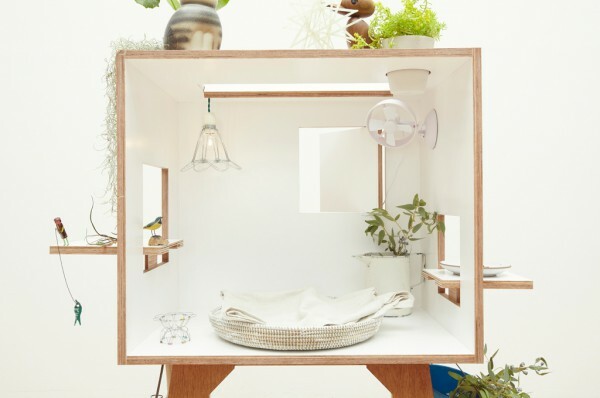 Lighting and potted plants can be added, and there are windows for displaying the occasional ornament, hooks for bags, and a cord manager allowing PC use. 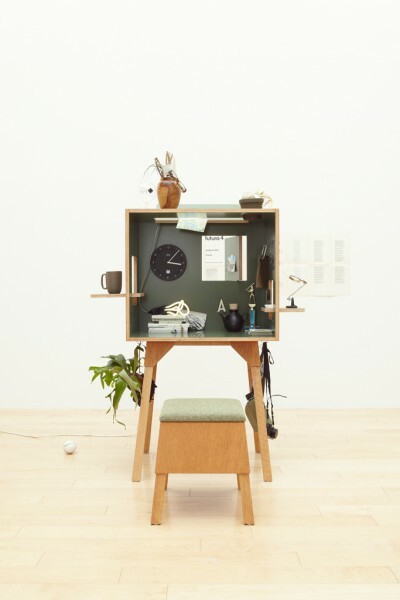 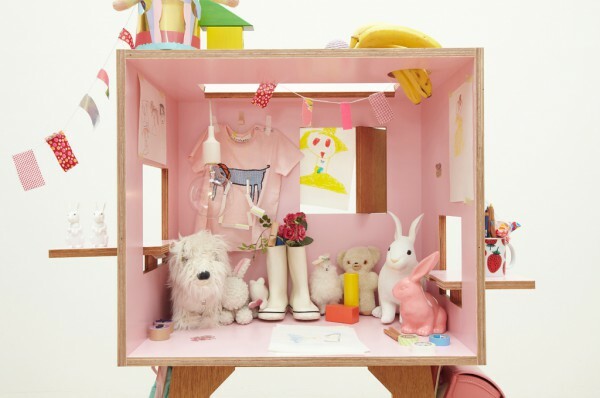 Arrange the koloro-desk to make a study for Dad, a play area for a child, a hobby space or whatever you would like it to be. 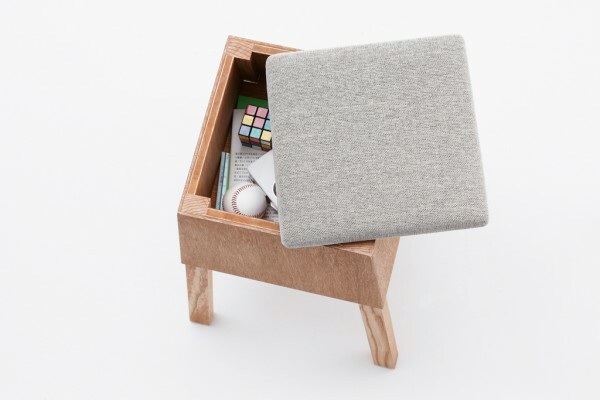 "koloro-stool - complete with storage capacity"